I am a big pile of anxiety. I have to remind myself to take a breath, a nourishing breath. My nights are sleepless. I don’t feel like me, the old me is gone. Someone has replaced her. We have decided that we will continue to treat the PCOS with a low GI diet. Very few carbs, mostly organic meats, fruits, vegetables, seeds, nuts and legumes. I have started to take a prenatal vitamin. I don’t know about you, but vitamins make me feel a little ill. Todays meal is one of my very favorites. It is spicy, rich and satisfying. 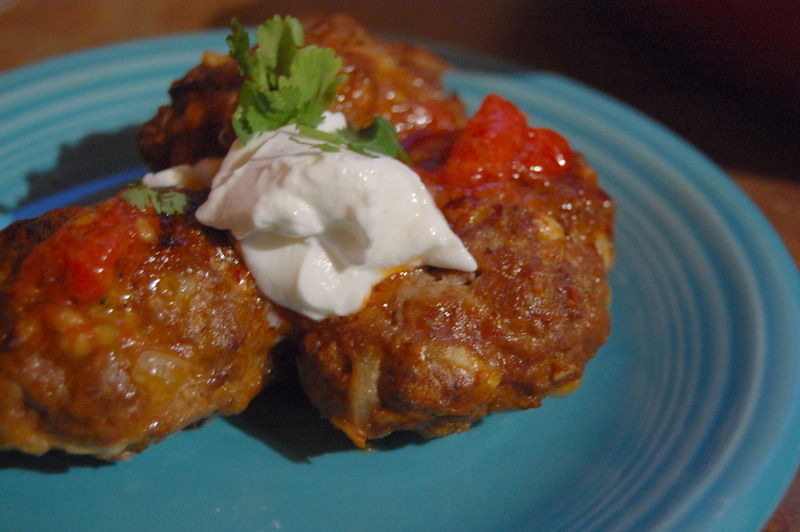 To make kofta, combine all ingredients in a large bowl and mix well with hands. Heat oil in skillet (or prepare grill). Form meat into 1 inch balls and place in hot oil. Cook and turn until cooked through. Meanwhile, heat olive oil in small pot. Add tomatoes and salt and pepper until it is heated through. Serve with tomato sauce and fresh plain yogurt.